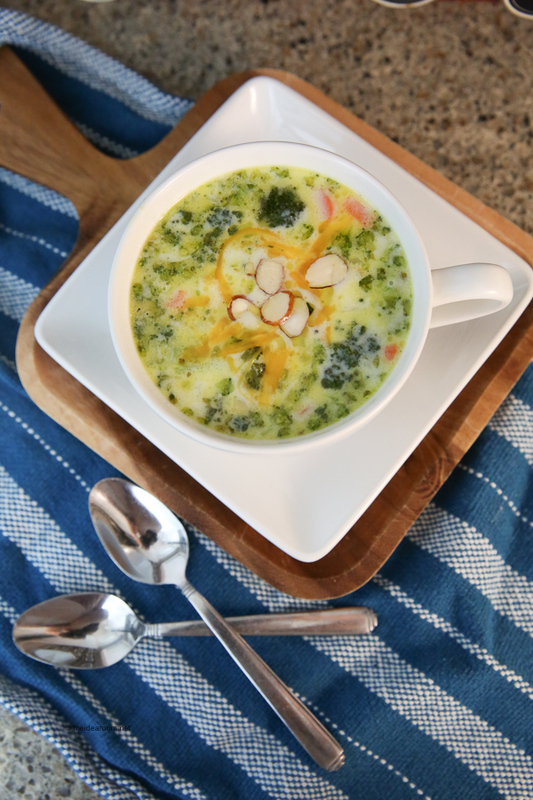 It’s the perfect time for a delicious soup recipe and one of our favorites is this Broccoli Cheddar Soup! So easy that you can whip up this Cheesy Broccoli soup in 30 minutes! I have another delicious Soup Recipe to share with you today! 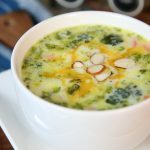 The winter weather is just starting here and it makes me want to make yummy hot meals and Broccoli Cheddar Soup is always such a simple and easy dish to serve up. This is no exception. It is a crowd pleaser and can be made and on the table in about 30 minutes. With a busy family, with very different palates…it can be hard to find a meal everyone likes. 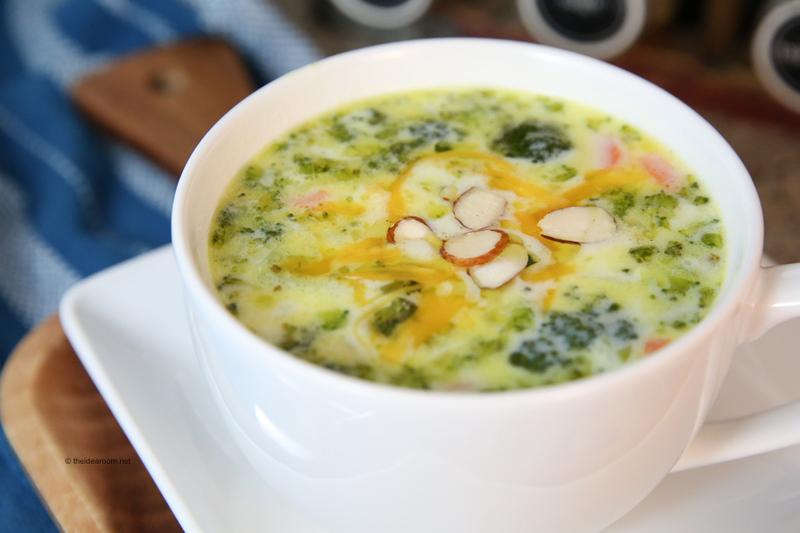 This soup is nice because it is so simple to cater it to your families different tastes. Throw in your favorite veggies along with the main veggies and it can take on different flavors. 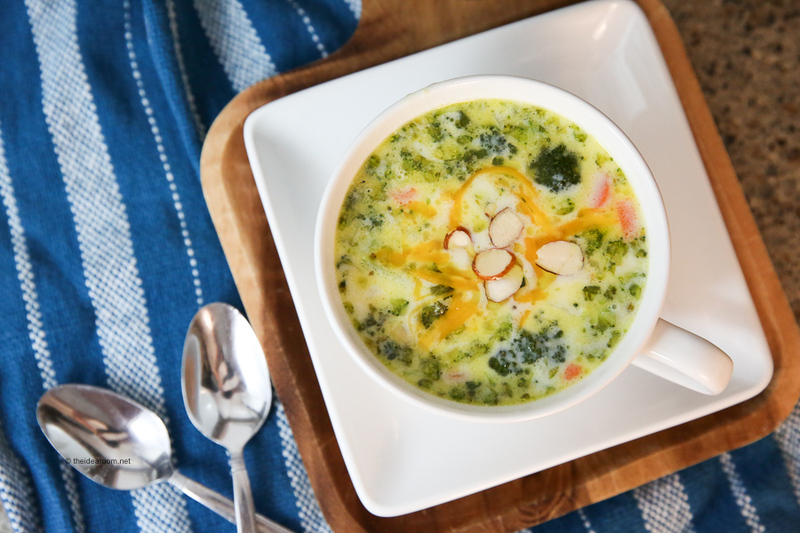 Watch how easy it is to whip up a pot of this delicious Broccoli Cheddar Soup Recipe! Any one can make it and it turns out delicious every time! It really is the perfect comfort food! 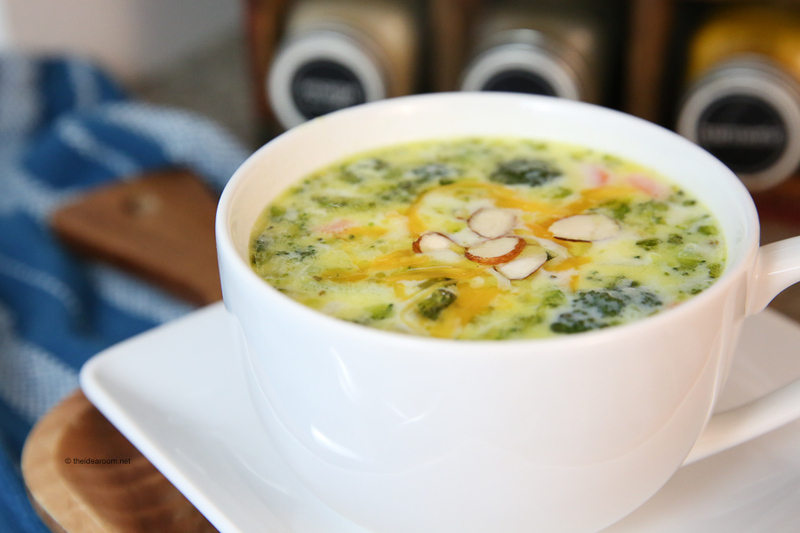 This BROCCOLI CHEESE SOUP is a creamy, cheesy soup recipe that is, quick and easy. Dinner will be on the table in less than 30 minutes. potatoes celery, green peppers, carrots, broccoli, etc. Add water and bouillion; bring to a boil. Cover with a lid and simmer on low heat for about 10 minutes. Heat remaining butter in a 2 quart pan. Stir in flour and cook until bubbly. Turn heat to lowest setting. With a wire wisk gradually stir in milk until well blended. Cook over medium heat, stirring often until thickened. Do not boil. Stir in cheese until fully blended. Stir cheese mixture into vegetables and heat. We usually add diced potatoes, celery, chopped carrots, and sometimes cauliflower if we have it on hand. Top with ham or bacon, or your other favorites! Looking for some of our other soup recipes we have shared? Check these out! Pinned. This looks delicious! Perfect for a cool fall day! 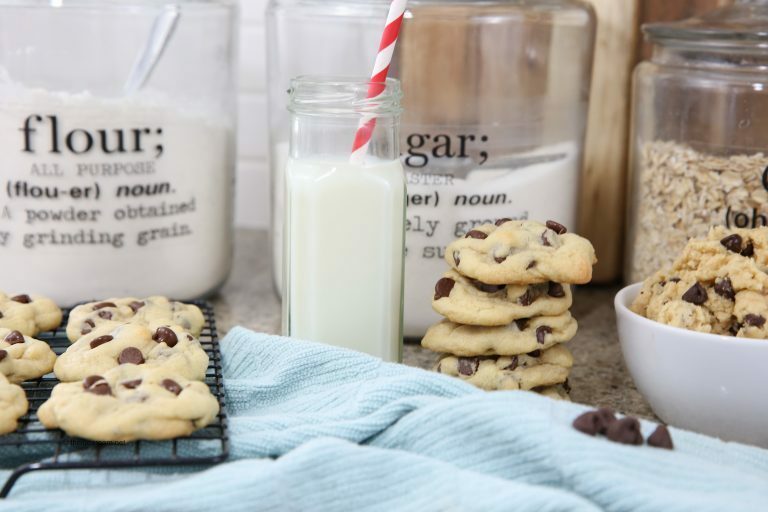 This looks so delicious – perfect for those upcoming cold winter nights! I know! Wish it could stay fall forever here! This looks so good! One of my favorite soups! Made your recipe tonight and it was the perfect soup for a rainy day. I did add some bacon…gotta love bacon! Yay! Yes! Bacon…is always a good idea! I made this tonight, crazy in summer I know but my daughter loves broccoli cheddar soup and was dying to try to make it. Huge hit, everyone loves it! Thank you for sharing! We love soup in the summer :) So glad it was a hit! I’d like to try this but would need to substitute vegetable bullion for the chicken. Does this soup freeze well? as anyone ever tried to freeze it? Caroline- I put some leftovers in the freezer and pulled it out for another meal. It seemed fine. My kids gobbled it up. Great question! Had anyone tried a GF option for flour? Lisa- You could definitely make this GF. Thanks and enjoy! A solid, proper broccoli cheddar soup like this is the ultimate comfort food. I love your simple version! Fanzillah- So happy you enjoyed it! Would I need to change anything if I used frozen broccoli? Cindy- No you should be just fine using the frozen broccoli. Great question. This looks and sounds amazing! I can’t wait to try to make it! Thank you for sharing! Lissa- It really is pretty tasty. Hope you make some! John- I am so happy that you loved the soup!